The aerial part of Dianthus superbus L. or D. chinensis L.
Collected in summer or autumn during fruit time. Bud, green, dry, without impurity, without root. Bitter, cold; heart, small intestine and bladder meridians entered. Induce diuresis to treat stranguria, activate blood and induce menstruation. It has the actions of clearing small intestine to purge heart-fire and clearing bladder to purge damp-heat. It is a main herb for stranguria. It is good at treating heat-stranguria manifested as dribbling, difficult and painful urine. It is usually combined with other herbs which have the similar actions to increase the actions of clearing heat and treating stranguria. For instance, it is combined with Bian Xu, Mu Tong, Che Qian Zi, etc. , in Ba Zheng San from Tai Ping Hui Min He Ji Ju Fang. 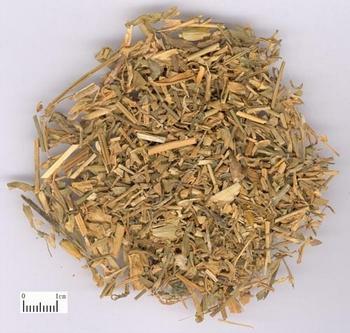 For heat accumulation in lower energizer manifested as dribbling urination with blood, it should be combined with blood-cooling and bleeding-stopping herbs. For instance, it is combined with Zhi Zi, Gan Cao in Li Xiao San from Tai Ping Hui Min He Ji Ju Fang. 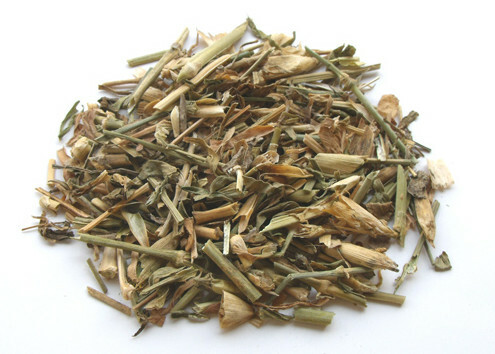 For urolithic stranguria, it should be combined with diuresis-inducing, stranguria-treating, stone-dispelling herbs. It can activate blood and induce menorrhea, it is good at treating amenorrhea and irregular menstruation due to heat and blood stasis. It is usually combined with blood-acivating and menorrhea-inducing herbs, such as Tao Ren, Hong Hua, Dan Shen and Chi Shao. It is cold and descending in property and can cause abortion, so it is contraindicated for pregnant women.